My maiden name was Lovecy and my mother was a Murfitt, her father was Josiah Murfitt from Cambridgeshire, and I know that there were Taylors in his maternal line two further generations back (his mother was a Watson). 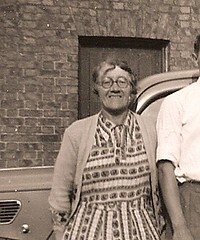 I think the Murfitt part might connect with your Murfitts – we have never managed to connect to any other recently-researched Murfitts, a Paul Murfitt made a very thorough study about 35 years ago but we weren’t part of of his clan either. Have you any more info about your Murfitts? I believe that there were Murfitt/Murfit families at Stretham and Little Downham too.